Ok this is my port of KPicasa Wordpress plug in for sNews 1.7. Until then, please test the package posted at "Attachments" (below). See the update note bellow. 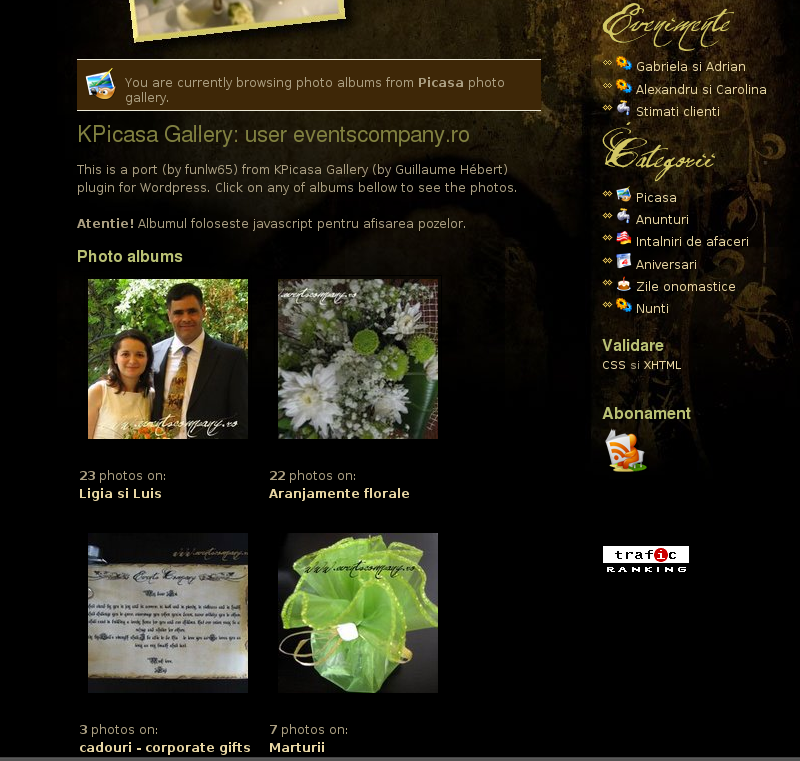 Here you can see KPicasa at work on a site made by me. Is on an older version of sNews (1.6). Unfortunately, the owner migrated to another CMS, and I don't have a live demonstration to show you :-( . I will keep the pictures below. Added control panel for easy setting. Upgraded highslide engine at latest version, 4.1 . Added slimbox2 engine (but is broken right now). Added language variables for easy internationalisation (see EN.php file).